Size: approx. 6 mm. Photo: 09/11/14, 9 pm. 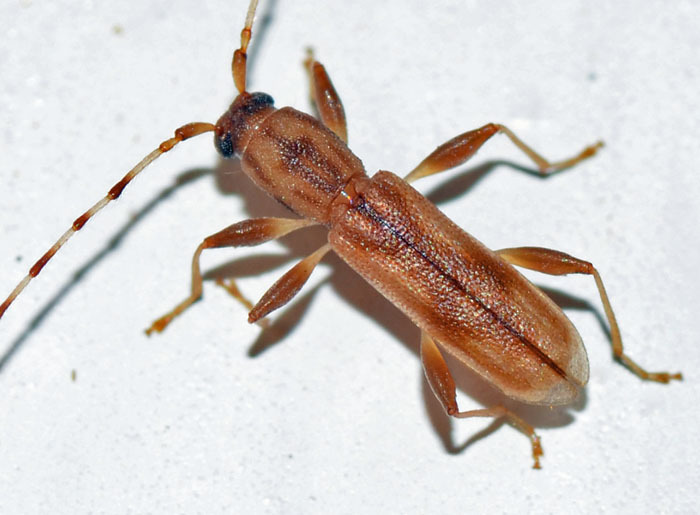 This beetle lives under the bark of small branches (conifers and hardwoods) and adults come to light. Its name refers to Manius Curius Dentatus who was a three-time consul and a plebeian hero of the Roman Republic. According to Pliny, he was born with teeth, thus earning the byname Dentatus, "Toothy". It is unclear to me why the beetle received this name.